This week, we are doing a special edition of the Artist of the Week by showcasing the incredible image editor and premier Aviary artist yotambonehbait. With over 500 incredible works of art in his gallery and consistently utilizing all of the Aviary apps, Yotam is raising his bar (and ours) with each new image. Not only does he create jaw dropping digital paintings, but he pushes the apps further and further, finding (or inventing) ways to replicate the effects he wants. And does he stop there? No, he shares his findings with us in great detail. For new members, treat yourself to a visit to Yotam's gallery. For anyone else who wants to learn all there is to know about Phoenix, follow him. We can't say enough good things about our comrade, but we can provide another way to view his beautiful art: his flickr page. Streaks of light! This is another awesome Peacock challenge set by Redstar. She challenges us, using only 6 hubs, to create streaks of light. You might think that sounds a bit boring but I can assure you it is so much fun, and some of the effects that have been created so far are just mind blowing! So why not join in the light streaky fun and amaze us with your creation? Get to know Aviary's very own computational artisan, Mario. 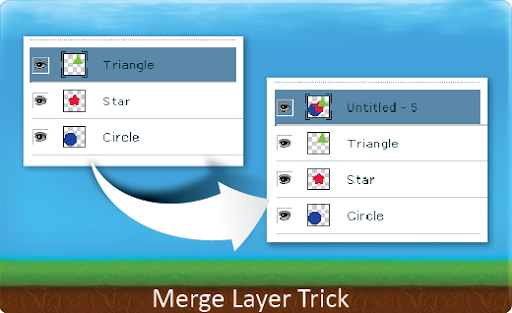 Here is a neat merge layer trick from Cobra405, one of the moderators here at Aviary. "First off, select the layers you want to resize and merge them. Then, with the merged layer selected, go to Select>Select all. Next use the Edit>Copy function to copy this layer to the clipboard. Now here comes the clever bit :) Hit undo twice. This will recover all of your layers as they were before you started! Finally, just use Edit>Paste and hey presto, you now have a new layer with the merged layers you copied. You can resize all you like, and you also still have all of your original layers!" Now that is what I call brilliant. Thanks for the tip, Cobra!